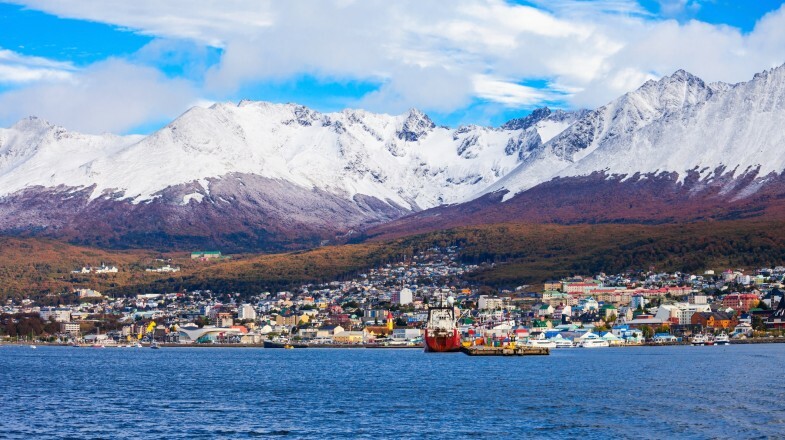 Ushuaia, Argentina, is the southernmost city in the world and is situated closer to Antarctica than any other departure point. Although it is often referred to as the ‘end of the world’, for most Antarctic travellers it marks the beginning of a journey. Traveling from Ushuaia to Antarctica is a once in a lifetime kind of trip, ideal for those who are serious about adventure, exploration and discovery. These days Antarctica receives as many as 50,000 visitors each summer, and ninety percent of all Argentina to Antarctica cruises depart from the Maipu port in Ushuaia. During summer (November to March), which is the best time to visit Antarctica, there are trips departing daily from Ushuaia to Antarctica. Antarctica is the last pristine wilderness on earth. Due to the endangered nature of the many Antarctic wildlife species is it important to maintain a good balance between ecotourism, which is educational and purposeful, while protecting the natural biodiversity of the region. Ways to get to Antarctica from Ushuaia: Fly or cruise? There are both cruise and fly-cruise options departing from Ushuaia. The cruise is by far the most popular of the two. While cruise travelers will experience much more in terms of scenery, it is also a longer journey than the fly-cruise option. The main benefit of choosing the fly-cruise option is that the Drake Passage, which is often subject to harsh weather, can be avoided. This is considered the ultimate way to experience the vast white continent of Antarctica. Thousands of travelers take advantage of the many cruise options available from Ushuaia each year. Most cruises depart from Ushuaia, then sail across the Beagle Channel before crossing the Drake Passage to Antarctica. Tips: Longer trips (30 days and more) incorporating the Ross Sea are also available. This is commonly referred to as a partial circumnavigation i.e. visiting both the eastern and western Antarctic shores. 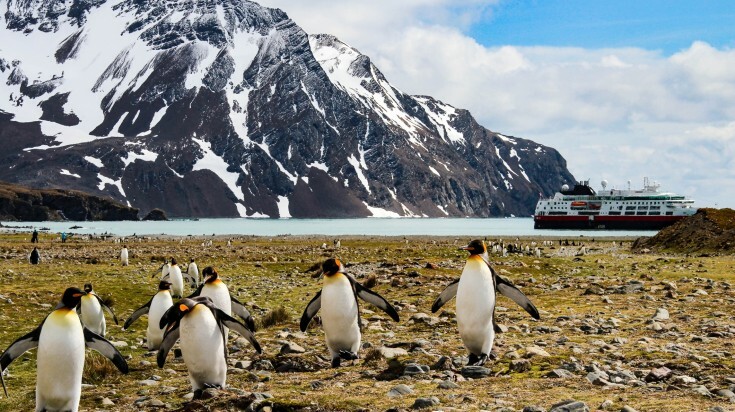 Go through these cruise tours from Ushuaia to Antarctica and pick yours! The fly-cruise option is becoming increasingly popular amongst visitors to Antarctica. 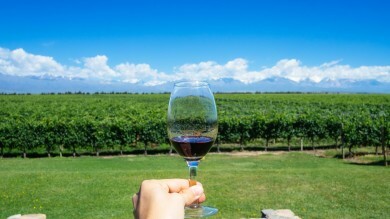 While this tour doesn’t start in Ushuaia, it can be booked with tour operators in Ushuaia. Usually a flight is boarded in Tierra del Fuego, Chile. The two-and-a-half-hour flight lands on King George Island, situated in the South Shetland islands, very near to the Antarctic Peninsula. From here, travellers can board a cruise ship. Tips: Most of the major sites and Antarctic activities can still be included in your itinerary but the Drake Passage will only be crossed once. This cuts out two days of cruising time on either the departing or returning journey. The Drake Passage marks the Antarctic Convergence. It is a biological barrier in-which polar water sinks beneath the warmer water of the crossing. This overlapping of oceanic waters creates a nutrient rich area which sustains the area’s wildlife. Naturalists onboard cruise ships will point out the different types of seabirds encountered during the crossing. These are a group of twenty islands where you will see snow-capped mountains, icebergs, penguins and seals. Below are the three most popular islands in the South Shetland Islands. Deception Island, situated in the caldera of an active volcano is entered via Neptune’s Bellows, a narrow passage on the south-east side of the island. The bay consists of a beautiful rocky shore unlike any other on earth. King George Island, the largest of the South Shetland Islands is home to Adélie and chinstrap penguins, kelp gulls and cormorants. Paulet Island is the site of the Nordenskjöld expedition where a stone hut built in 1903 remains. Paulet Island is overrun with wildlife. It is home to an Adélie penguin colony boasting over 100,000 penguin pairs. There is also a colony of blue-eyed cormorants. Time spent on-board the vessel as it sails through the many waterways can be equally spectacular. Rock faces soar overhead, as do the magnificent glaciers, as one passes through the Gerlache Strait as well as the Neumayer and Lemaire Channels. Set foot on the continent when going ashore at either Brown Bluff or Hope Bay. The Antarctic peninsula is an icy wilderness of snow-capped mountains, icebergs in every imaginable shade of white, grey and blue as well as a variety of whales, penguins, seals and other seabirds. This is one of Antarctica’s most visited sites. Here one can depart the ship to cruise around the bay in a zodiac boat. This will give you the opportunity to get close to the many icebergs carved off the glaciers. Local wildlife such as terns, petrels, cormorants, seals, penguins, and whales are often attracted to the ice floes. Here you’ll likely find those postcard perfect photographic opportunities. It is important to arrive in Ushuaia a day a two before your cruise is planned to depart. Flight delays and lost luggage concerns are not uncommon. According to the Antarctic Treaty, no party larger than 100 people may land in Antarctica. One of the advantages of sailing in a smaller vessel i.e. 100 passengers or less is that there are fewer delays and more opportunities for exploration on land. 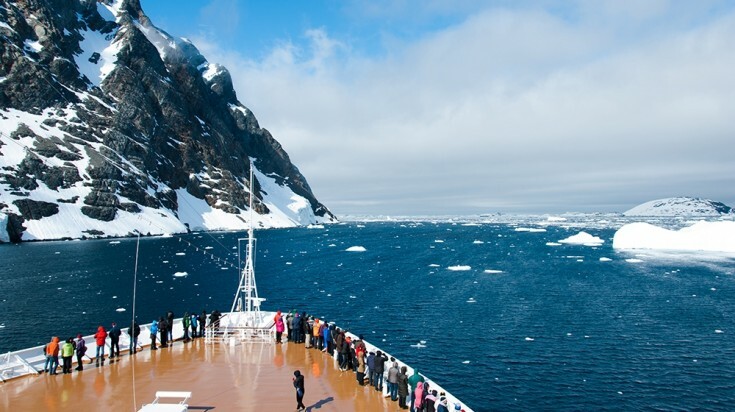 Some key items to pack on an Antarctic cruise include sunscreen, nausea medication, a camera and battery chargers. You will also want to ensure that you pack for cold weather even though it is summer. Waterproof boots, thermal underwear and a warm coat are essential. 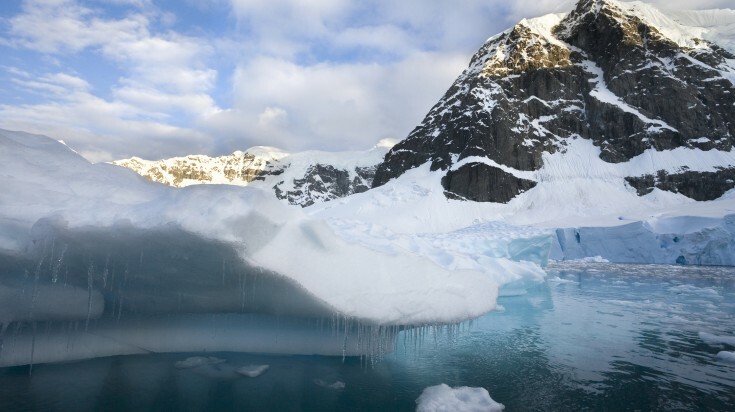 You will most likely have no internet access or cell-phone coverage while in Antarctica. Even researchers based in Antarctica have to contend with intermittent and slow internet access due to the positioning of satellites in relation to the South Pole. Most cruise-liners have some bandwidth, but they are often very hesitant to share with passengers. Most Ushuaia to Antarctica cruises offer activities such as kayaking, trekking, photography workshops and even diving. These activities in Antarctica are usually offered at an additional cost and must be booked in advance. Antarctica is as beautiful a continent as it is fascinating. Not only is a trip to Antarctica a bucket list item for globetrotters and nature lovers alike, it also promises to be a memorable journey of inner and outer discovery. And while there are different ways to travel to Antarctica, the route starting from Ushuaia remains to be the most popular amongst travelers. Note: Prices are as of February 2018.